Since 2 years we have created the division dedicated to Online Shops. Division that has become strategic for both us and our customers because finding a multilingual Call Center that specializes in Ecommerce Customer Care Services is extremely difficult. It is almost impossible to find one, that is confident with all aspects of the online world. You have an Ecommerce already? If you already have an online business, you know very well what we are talking about. Customers are extremely demanding and expect a satisfactory and almost immediate answer to all their questions. Let’s not forget that the Customer Care is the only link between the final customers and your Brand. We always recommend providing multi-channel customer support, which includes all communication channels: telephone, e-mail and chat as well as social media, but we know that it is not easy. For each of these channels it is necessary to have technical skills, not just a phone number and an e-mail address, but a telephone central, a ticketing system, a live chat system and a social network monitoring system are needed as well. It is therefore very important to entrust your Ecommerce to a Call Center with an omni-channel customer care software that can be easily integrated with your site and allows your customers to evaluate the service offered. The best Ecommerce Customer Care service must therefore provide your customers with a 360° assistance and provide you with a complete solution to cover all communication channels. 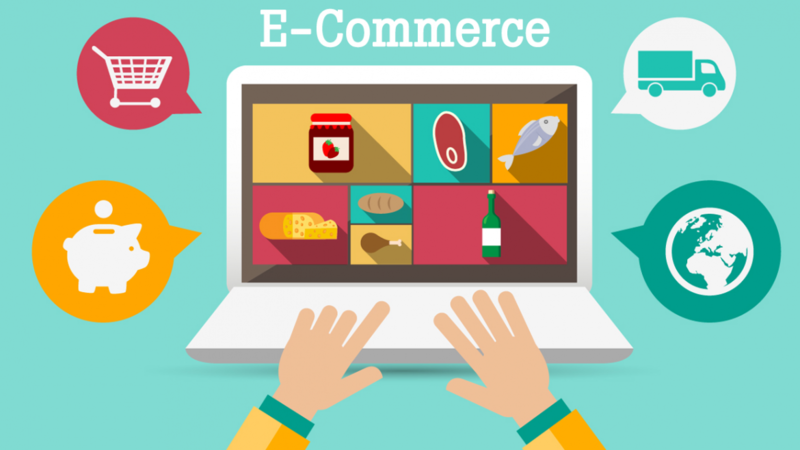 You still do not have an Ecommerce? In this case, in addition to the aspects mentioned above, there is another fundamental point for the success of your online shop: the positive word of mounth. The web is indeed a great opportunity for everyone, but as such, it is full of companies trying to catch it. Launching a new ecommerce is not easy, but if you have a good product, a good price and an excellent customer service is still possible. Especially if you have created a new brand or if it is still not so known it is vital that your customers are satisfied with their purchases and that they can communicate their satisfaction to others both online and offline. The only way to offer an excellent customer experience is to rely on an excellent Ecommerce Call Center to respond to any pre-sale questions and solve any after-sales issue. At least 50% of the new customers that are contacting us have an internal Customer Care for their Ecommerce. This means in the best case employees dedicated solely to respond to customer requests and customer care software solutions that are not integrated with the back end of the site, neither with logistics nor with developers. Choosing Euroconnect’s E-commerce Customer Care service means having your Multilingual Customer Service available at no fixed cost. All our rates are based on consumption. That way you save a lot compared to having the internal service and guarantee your customers an excellent service even in the most critical moments like Christmas or Sales periods. Find out right now how to add a multilingual, multi-channel and specialized customer service to your Online Store. Contact us now.